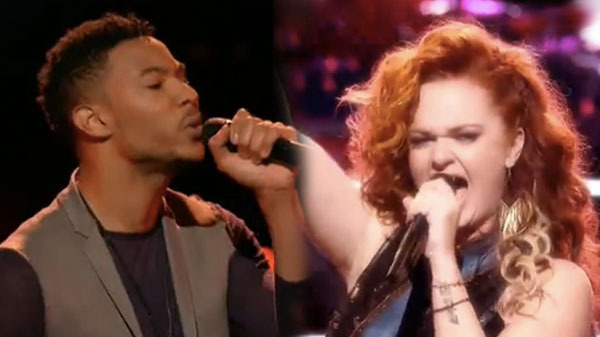 Joe Maye and Kata Hay battled it out for a spot at Team Christina on The Voice Season 10 Knockout Rounds, Monday, April 4, 2016. For their Knockout performance, Joe Maye does his cover of “Earned It” by The Weeknd while Kata Hay sings “Why Haven’t I Heard From You” by Reba McEntire. “You guys showed showmanship. You make the room come alive. You both were great,” said Christina Aguilera. The winner of this knockout is Kata Hay, Blake Shelton stole Joe Maye.